I love the cover of this book, it really draws the reader in from the start. The first few chapters I really got into trying to figure out the story and where it was going to go. The characters didn't click with me right away but grew on me slowly. The romance was a little "silly" for me, love at first sight stuff and some of the dialogue seemed a bit drawn out. This is a pretty long book and I felt like the story seemed really long. 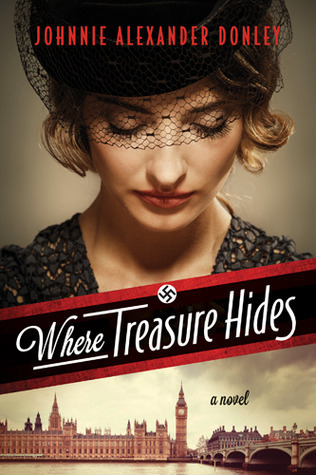 I love historical fiction and I loved the setting and time in this storyline. The book didn't grab me and it was a bit difficult for me to get through at times, which I wish wasn't the case! I would definitely read more by this author, this just wasn't my all time favorite. Four stars-it's still a good one guys!